All your lawn and garden supplies are available at both your favorite employee owned stores. 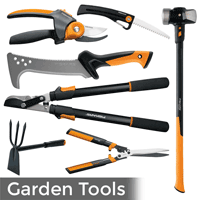 From seeds and annuals to all you need for maintaining the yard with the best supplies, tools and plants, we are here to help! Explore below by clicking on an image and be sure to subscribe in the upper right hand column for future blog posts featuring the plants of the week and new website additions.